I actually met Norma Lynn many years ago at Renegade Craft Fair here in San Francisco. She visited my booth and explained who she was, and I definitely already knew her work as well. She is really the sweetest person ever, and her website is filled with photos of delectable crocheted cake sachets and lots of free patterns. 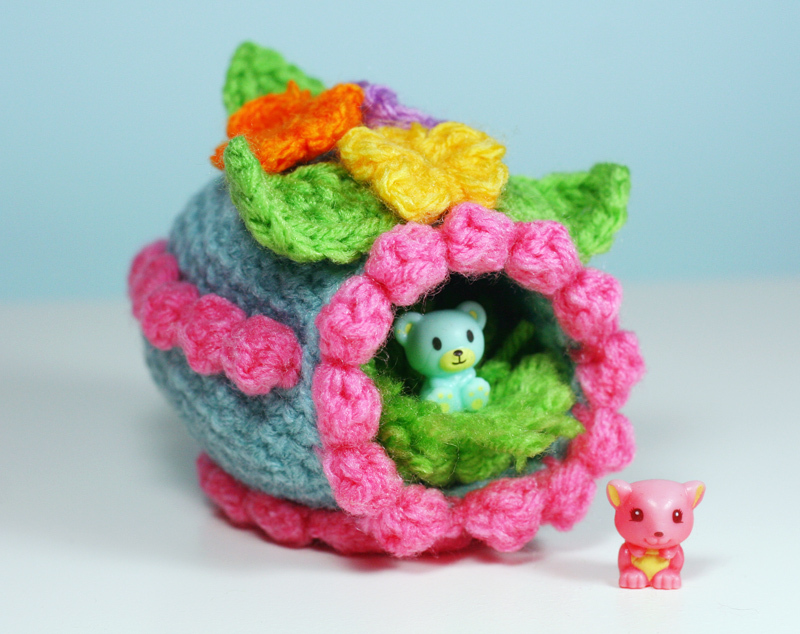 I approached her after receiving that message on my blog, and our collaborative crochet pattern is the Panorama Egg, just in time for Easter! my eggs are noticeably more… gaudy! 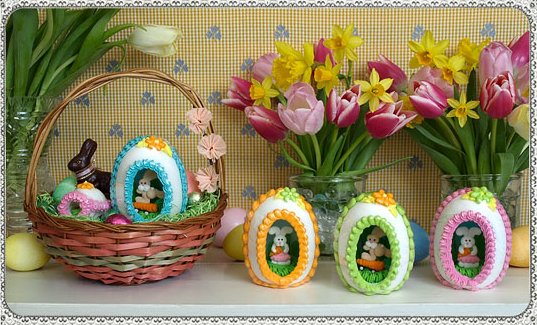 photos from Blumchen.com, whose sugar eggs are already sold out this year! 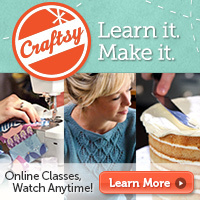 After chatting with Norma Lynn and doing some internet research, I came upon the faux cake folk art of KookyCrafts. All the colors and kitsch got me super inspired, hence, my crazy colors! Norma Lynn ended up doing basically all the work on the pattern. I was more like her pattern tester :P. I so appreciate all the work she put into this project! And I hope that you guys have time to try out the pattern and show us photos! I know there are lots of possibilities for colors and decorations! 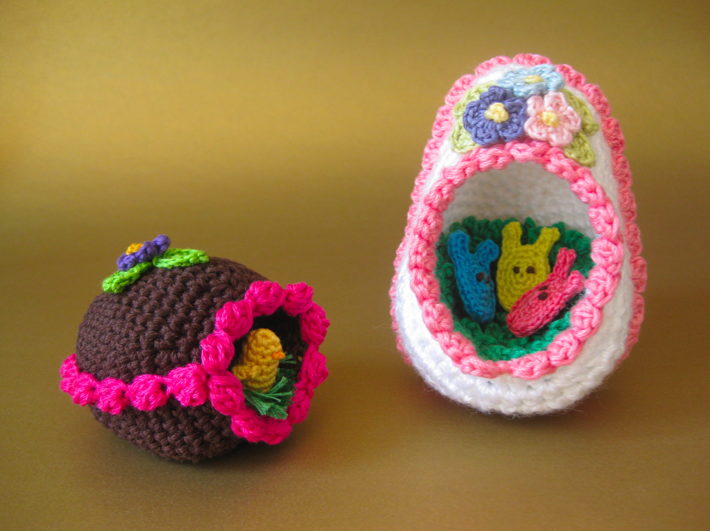 Please check out Norma Lynn’s site for our panorama egg patterns! 1) Spray starch isn’t going to be enough hold for this. I would suggest a liquid starch or a half white-glue half water mixture. 2) I watched a few video tutorials on the internet, and basically you stick your finished crochet project in a bowl, squirt your stiffening liquid all over it and soak it down real good. 3) Gently gently squeeze out a lot of the liquid. I had nothing egg-shaped around the house to use as a form, so I tried stuffing the egg with 2 plastic grocery bags. I wanted it to be fairly well stuffed to fill out all the curves and get a nice, rounded egg without any lumps or bumps. Also take the time to arrange all your decorations and make everything look nice. 4) Let it dry! If you prefer to glue on your decorations instead of sewing, I might suggest stiffening your plain egg first, and then gluing on the decorations after the egg is dry. 5) Inside decorations like the grass and bunnies and chickies don’t need to stiffened. 6) Try lots of different decorations like plastic cupcake toppers, pom poms, rhinestones, sequins, small toys, plastic flowers, ribbons, bows, any of your favorite things! These are adorable. Thank you for sharing and thanks for the tips. I’m going to start crocheting them tonight. Ooooh I Hope they turn out cute! 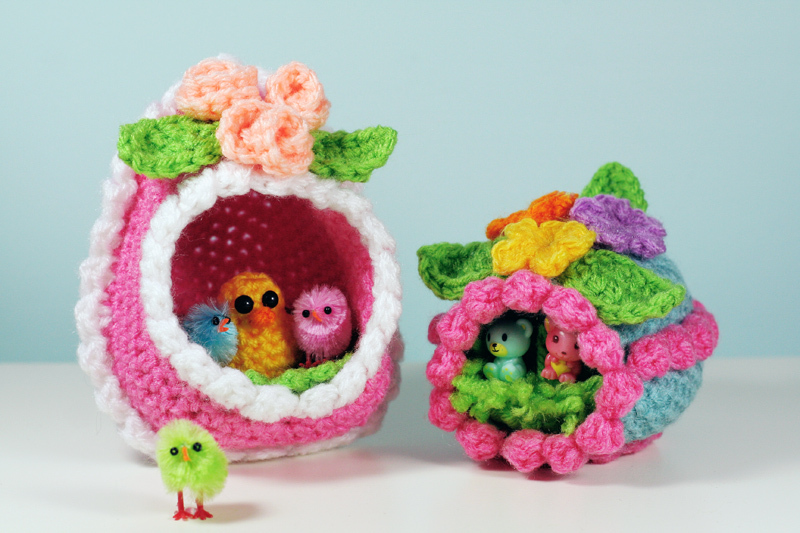 If you know someone who crochets, maybe you can bribe them to make you one! Awesome! 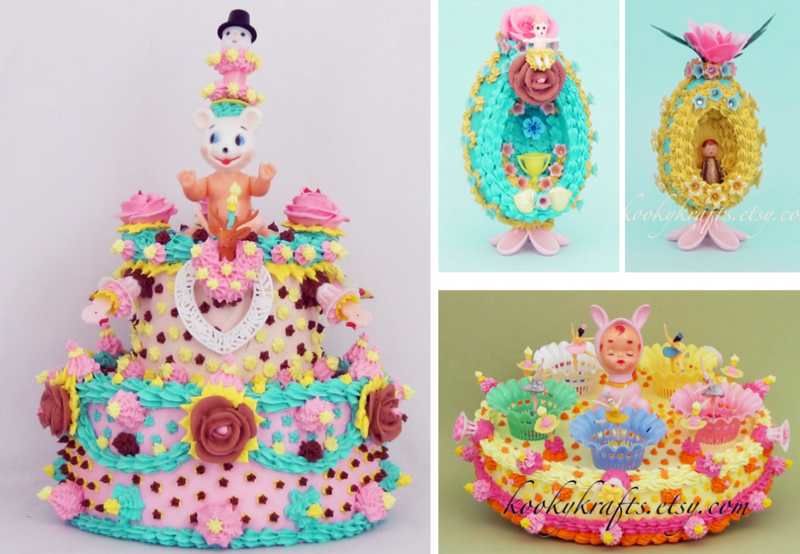 I think that I will make one for my grandma for Easter. 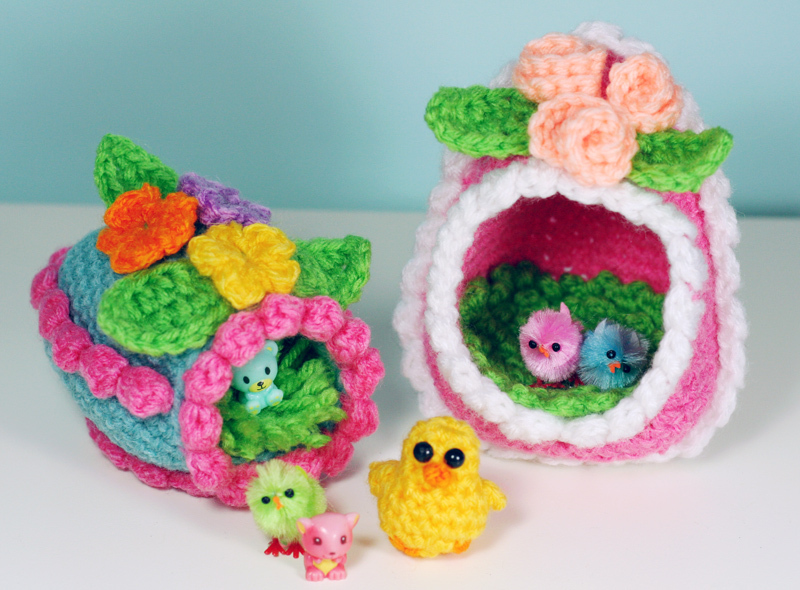 These are so cute and I really want to give one as a hostess gift this easter. I already finished the sideways egg and big puff icing! I have a dent in my thumb and I’m going to bed happy. Thanks so much for the pattern! 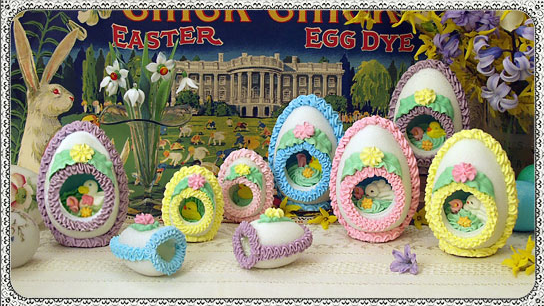 Wow, craze eggs and what a cute bunnies! What an awesome idea~! Just adorable and great work.. Thanks for sharing! yeah…so these are friggin GREAT! 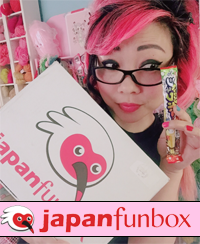 I so love yours and hers and what an awesome collaboration!!! The noise I just made from seeing these was extremely high pitched, lol. These are PRECIOUS. I love those little chickies too! These are absolutely fantabulously amazing! such talent. Thank you so much for your generosity in sharing. it is folks like you, the truely great crochartists, that inspire people like me and help to keep our fingers busy! I found your eggs on pinterest and then followed to the blog….these panoramic eggs are close to my heart as I had a sugar one that was completely fascinating to me and a cherished gift. I decided to make these for my granddaughters and hope they will feel about them they way I did when I was little. Thank you both for this FREE pattern, I really appreciate it. Hi, have a question since iam new to all of this, What does it mean in the beginnings where it says form a ac? What is a ac? Thank you so much for any info. Hi! It stands for “adjustable circle,” aka the adjustable ring, or magic ring, or magic circle. It’s how you begin every project that is worked in the round. I used an H hook and crocheted tightly. Hi, I’m sorry, but we don’t usually have a lot of time to alter patterns according to everyone’s different needs. We do our best to provide patterns for free that are fun and inspirational, so perhaps you could also feel free to play with the pattern on your own. Thank you!